Good morning everyone! 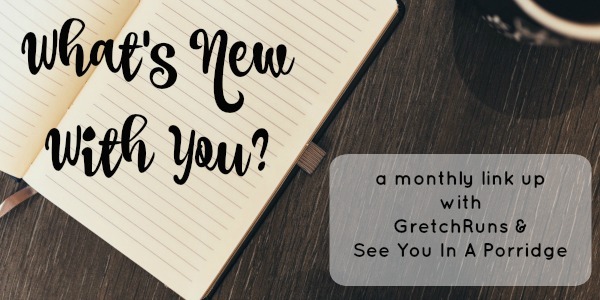 Time for another link up with Gretch & me, all we ask is that you link back somewhere in your post. Thanks a bunch. 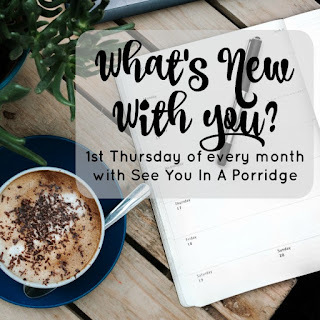 I'll be doing a monthly recap, as always. January felt really ridiculously long and like it would never end, but also the end kind of sneaked up on me. It was actually fairly busy, which is weird - normally January is very low key for us. 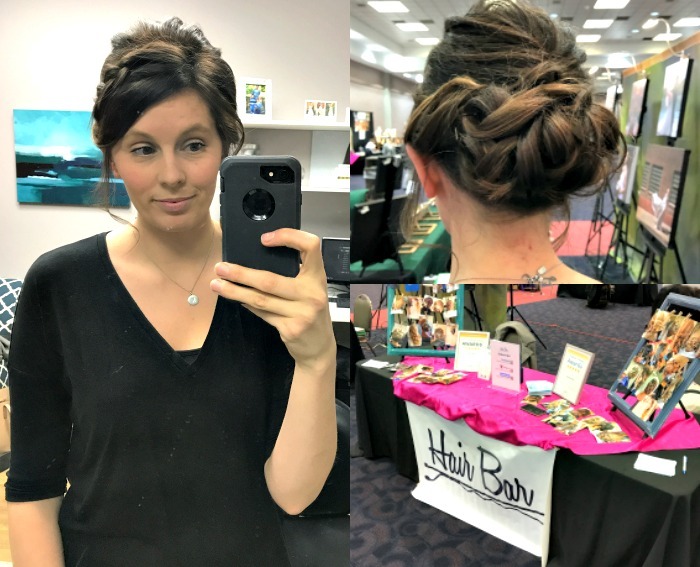 It started of with a wedding show with my very talented friend, which is always fun because we get to eat food and I get my hair all done up. 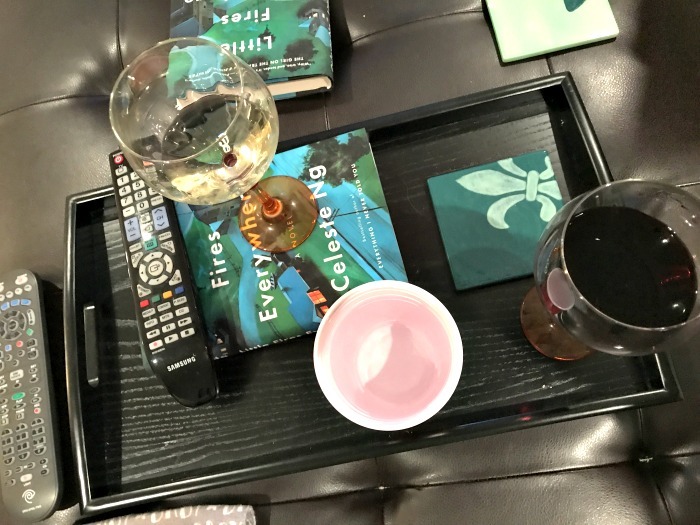 We had our monthly book club meeting, food + books. If you haven't read Little Fires Everywhere yet, I highly recommend. It's a great book club book, sparks lots of discussions. The I did one of those wine & painting nights at Pinot's Palette with some girls from work, but we did a wine bottle instead of a canvas which was really interesting. I have zero creative talents but I don't care, I like doing these things even if I don't keep the finished product. Plus I discovered a new to me wine (Tomasello red raspberry moscato) and it was SO delicious. I had an impromptu dinner with my girlfriends, that's always fun and I discovered a new cider. So good. None of these photos are particularly good but they sum up the night perfectly. ^ I would just like to point out that while I have certainly had many bud lights over the years, I am not drinking bud light in that picture. January 27th marked 6 years since I moved to America, that was a bittersweet day and if we are friends on IG, you saw what I mean by that. It gets easier each year, it gets harder each year. 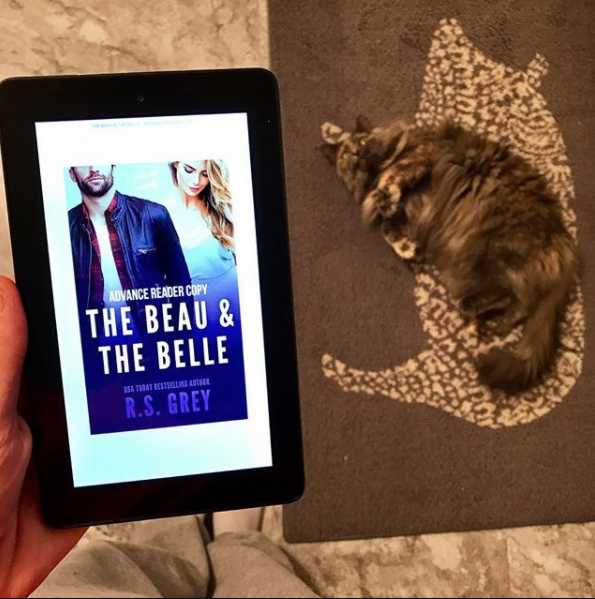 In other news, The Beau & The Belle is released today, it's on kindle unlimited or $2.99. If you grabbed it on pre-order, it would have only been 99 cents. Score! I loved it. If you like romantic comedies, I recommend. Oh and it's my baby brothers birthday today, he's 30! He's the one I am trying to kill by holding his nose in the below photo. 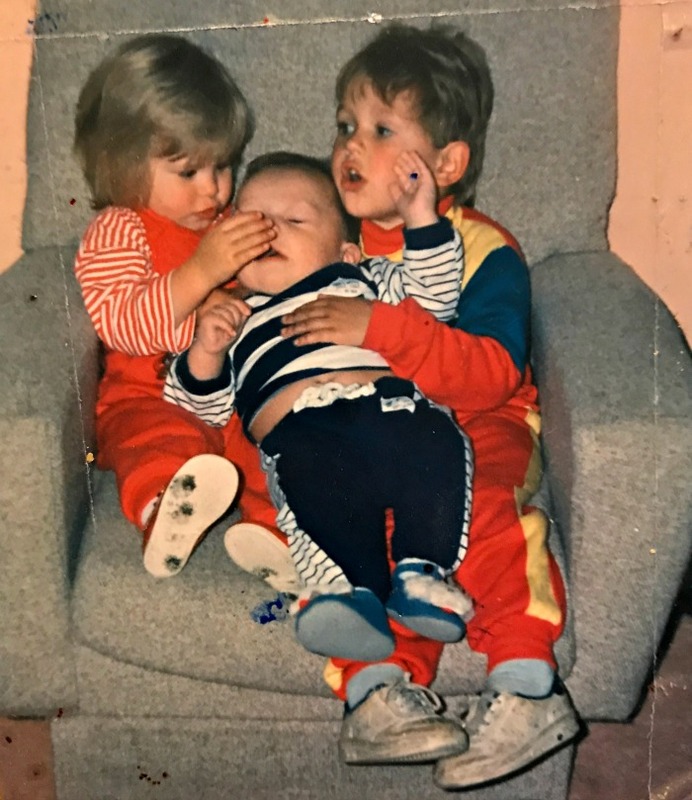 Apparently I did this so much that my mum had to stop giving him a dummy (pacifier) because otherwise I would take the dummy, and the way I did that was to hold his nose so he'd spit it out. But he didn't spit it out, so instead he couldn't breathe. Also, apparently I did it even when he didn't have a dummy. I was delightful, clearly. He's only 11 months younger, maybe I wasn't a fan of not being the baby anymore. We are the same age for 11 days and when we were younger, I'd let him 'be the boss of me' for those 11 days, but naturally I didn't actually do what he said. I just let him control the remote sometimes. I am excited for February, it's birthday month and I have a couple of things planned. Most of them involve food. Duh. So - what's new with you? Happy belated expativersary! I've been living abroad basically since I graduated, with the exception of three months that I was living with my dad so I could get job seekers allowance ;-) So I've either been abroad for 12 or 13 years this year, depending on whether you restart the count for those few months I was home - for voting purposes it counts - I always say I left the UK in September 2006 when I register for elections so I get an extra year of being allowed. I think it will be a major "life abroad" milestone for me when I'm not actually allowed to vote in the UK any more! Sounds like a busy Jan! I've been an expat for almost 13 years (in Feb) and it has become easier. Then again, I came to Australia and left India so I can totally understand missing Aus ;) I loved Little Fires Everywhere...just finished it. Oh and I've recently been drinking red/pink Moscato because of how hot it has been and I'm loving it. It's way too easy to drink though! That last picture is too funny! I have Little Fire Everywhere from the library right now, and I am even more excited to read it now! Happy birthday month! i have been waiting for little fires for months and i'm only #49 in line #rage. Your January looks like so much fun! I love the wedding show hair! I've done a wine (well, actually they served mimosas at the one I did) and painting thing before, but I didn't know they painted actual wine bottles instead of a canvas at some of them. I loved doing that, and seeing your pictures makes me want to do it again sometime. Also, what is that delicious looking food in the corner of your girl's night out picture? Is it a fried macaroni and cheese ball? I also loved Little Fires Everywhere so much. Sometimes I wish I were involved in a book club because books like that are perfect for that sort of thing. 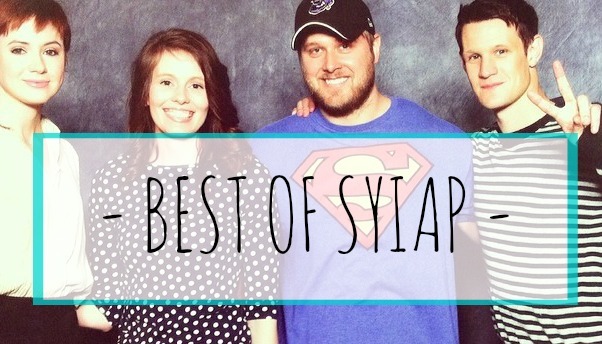 I just have to be content talking about it online with fellow bookworm bloggers, I guess. I love that last picture, and the story cracked me up! Haha. You did have a busy month! I swear I barely left the house... I'm glad to see January go. I have Little Fires Everywhere but I haven't started to read it yet! It's next on my list. Hope February is a great month for you! Happy birthday to your baby brother! I really want to do another wine & painting night. Doing a wine bottle sounds really cool! A couple of my co-workers are doing a wine & pottery night tomorrow but sadly I have a softball game. Next time! Happy 6 years! I definitely get you on the easier & harder every year thing. Happy almost Friday! I wish I could find a book club. All my friends are teachers though and teachers rarely have time to read, let alone meet about books. That hair is super cute! My baby brothers are going to be 29..makes me feel old! January is always the longest month ever. I loved Little Fires Everywhere! Just finished her first book and I think I liked it more than LFE. Yay birthday month!!! Food is one of the best ways to celebrate, lol. Hope you have an amazing month! Happy book birthday to B&theB. I actually decided to go with 4 stars after talking about it with you and thinking about it all week. PLUS I re-read a big chunk of it last night which I don't often do, so obviously it is staying with me and that counts for something!!! I hope it is well received. Love your hair! Your friend is so talented! Impromptu nights out with girlfriends are the best - admittedly, my nights out like that are not impromptu due to almost all of us having children, but they are still the best :) Yay new wine - that sounds delicious and right up my alley. I really want an IRL book club!!! Love your Bud Light disclaimer! And also the call back to your IG because, you know, algorithms and all. My neighborhood does a book club and I want to join but it seems overwhelming because I don't know anyone who does it. I think Little Fires Everywhere is on the list for one of the summer months (and it has been on my TBR forever) so if things line up correctly, maybe I will try it. I agree with the comments ^ above about finding a good book club! I think I would enjoy that...although actually maybe I just prefer online. LOL, hard to say! Love your hair at the wedding show! I'm laughing so hard about the picture with your baby brother! ( Happy Birthday to him!!) January was a chill month for us but stressful. I hate when that happens. Blehhh. 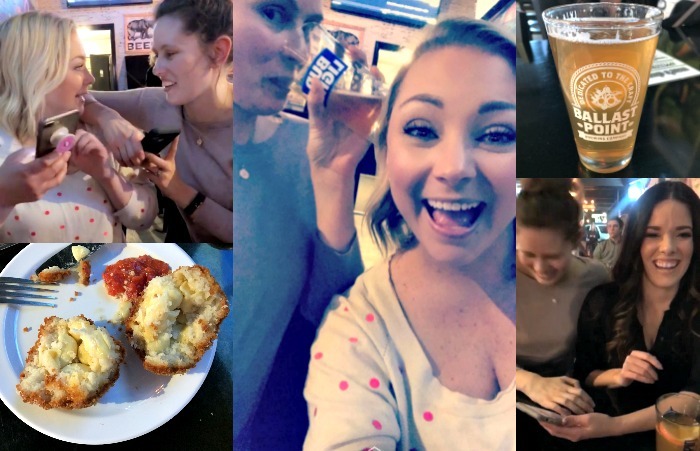 I love the pics from your girls' night! Painting a wine bottle would be fun! I've always done the canvas paintings, but I love those. Your friend does such amazing hair! I have to get an updo for my brother's wedding in a few months and I've never had one that I've liked (even my own wedding), so I'll have to use some of your pictures for inspiration. I love the idea of painting the wine bottles-- that would be so fun! LOL at that picture with your brothers-- happy birthday to your younger brother! That wine sounds delicious! What kind of cider did you discover?? Your hair looked so pretty for the wedding event! I am laughing so hard at the story with your brother. You look like a little doll in that picture and I just love it! The Beau and The Belle was so good!!!! I am so glad you told me about it! I literally laughed so loud at My desk about the attempted murder of your. Brother. Look at the intensity of your face too. Ahh... Siblings. I love that pic with your brothers and the story too. :D You're friend did a great job with your hair and that moscato sounds delicious. I was in a book club but I seriously broke them after I made them read Small Great Things! I've heard good things about Little Fires Everywhere, but it's taking forever to get it from the library. Fun month! Little Fires Everywhere is such a good book and you probably had a lot to talk about! My book club doesn't read many new releases and sometimes that bugs me. We read a lot of stuff I'd never tough. Some turns out good, but most is not my thing. Haha! I love going to paint and sips too, but I'm TERRIBLE. Your bottle turned out so cute! I love those painting and wine classes but I didn’t know that you could paint bottles! That would be so much fun! And that story about you and your brother is too funny! I don’t think any older sibling is happy when another sibling is born and they’re no longer the baby. Your friend does hair so well! The classes and the dinner and stuff look like fun, I am a terrible painter but a fan of joint activities so I think on balance I'd like it a lot. Especially if I could 'gift' my bottle to some poor unsuspecting soul afterwards. Congrats/sorry about your expativersary. 6 years is an impressive achievement, even if it doesn't feel like it some days. I am the baby of my family. Nobody can ever believe how old I am. Joining in your link-up for the first time. :) Do tell, what was the good cider discovery? The pictures from your girlfriend gathering are great - because they capture the joy of the time together! Oh what a month! I feel like that might be a hard pill to swallow? Your baby brother turning thirty? But happy time to him!! Nice peek into your life! Thanks for hosting! I love the idea of painting the wine bottle instead of a canvas. I'd be much better at that. I always love seeing your hair for those hair shows - your friend is so talented, and you look gorgeous! I'm jealous of your book club, lol. I've always wanted to start one or be a part of one, it looks fun. Glad you had a good month! Totally forgot about this link up. I love the pics of your girls day out - real people out being real people! I can’t believe it’s been six years! 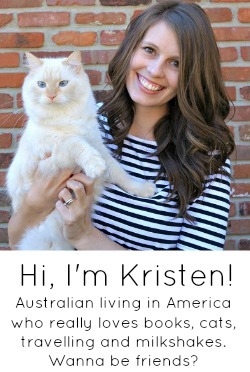 I feel like it was just yesterday I started reading your blog and you had only been in the states a few years. 11 months apart? That is a serious age gap, and I’m over here worrying about having babies 21 months apart. I bet it was fun growing up so close in age. My closest sibling is 3 years younger and that felt like a big gap when we were younger. I just finished Little Fires Everywhere last night (Friday) and throughout the book, I often thought of all the great discussions this book would, as you said, spark. I agree, it's definitely worth reading. Eating and getting your hair did- not a bad way to spend the day! I love the idea of painting the wine bottle! My friend took me to one like this as a birthday present and we painted wine glasses. I use them all the time and it was such a great memory! I read Little Fires Everywhere and LOVED it. It's a good pick for a book club, lots to discuss there! Sounds like a fun and busy month- love that last pic! You hair looks amazing!! Your friend is very talented. I love the idea of painting a wine bottle. that sounds like so much fun. I really need to read Little Fires Everywhere because I feel like I’m the only one in the world who hasn’t 😜 I’m glad it was worth the hype though!!! Looks like a fun month overall! Love the hairstyle from the wedding fair. Your poor baby brother!! Sounds like a fun month! 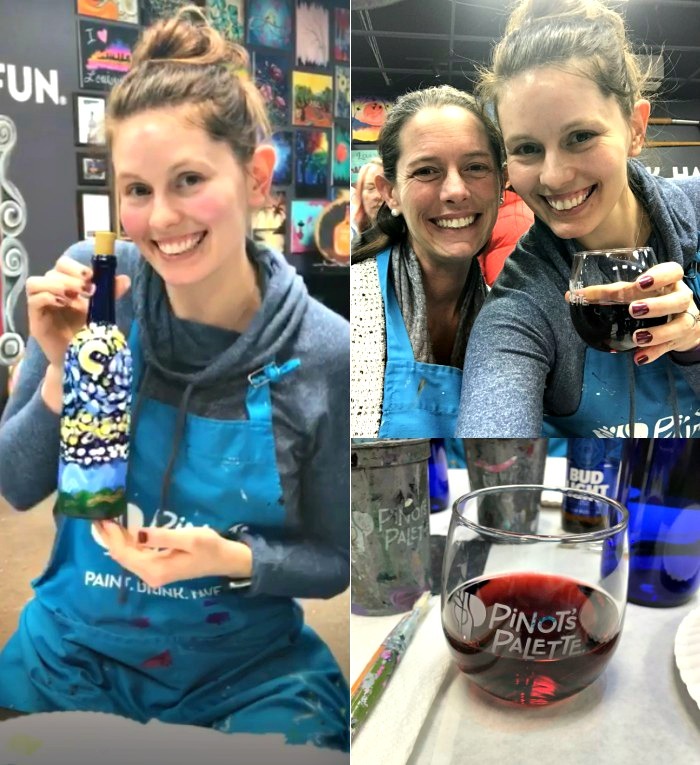 I love girls nights out + PWAT is so much fun! Drinking wine definitely helps you not care so much about how your artwork's looking, haha.